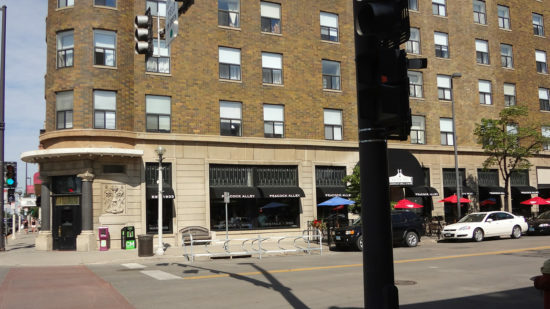 Located in the historic Patterson building in downtown Bismarck, the Peacock Alley American Grill & Bar is truly a Bismarck destination. 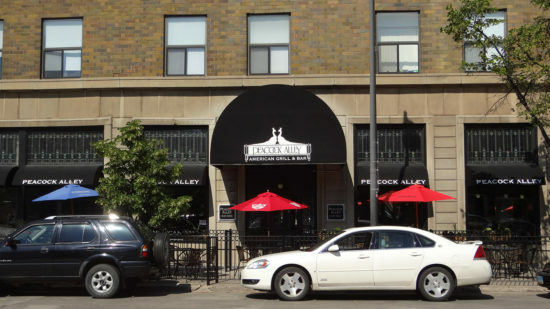 The Peacock is not only a casual fine dining restaurant and bar establishment, it is also a historic location rooted in tradition. Visitors enjoy notable photographs, antiques, stained glass windows and many of the buildings original solid wood furnishings. Diners order from a legendary menu featuring an exsquisite variety for all palates, from Italian to Cajun-American cuisine. The array of flavorful, homemade meals is prepared from the freshest hand-selected ingredients. The evening menu offers a wide selection from Filet Mignon to pasta, seafood and salads. 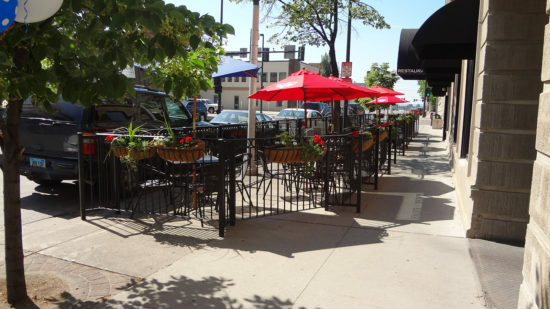 Known for mixing the BEST MARTINIS IN BISMARCK, the bar offers a selection of 23 different tap beers and is home to some of the hardest working, most intelligent bar tenders in the area. Whether sitting down for a memorable dinner, enjoying a cocktail in the sprawling bar, or hosting a group gathering in our private 40 seat Langer Room, the Peacock Alley is the place where Bismarck gathers.